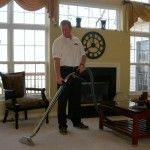 Chester County Carpet Cleaning | Air Duct Cleaning in Chester County | Natural Carpet Cleaning & More! Are you looking for a way to get your Chester County home to look and smell clean and fresh throughout? If so, don’t hesitate to call the experienced local Chester County cleaning company A1 Sparkles. With our carpet cleaning and air duct cleaning services, we can get your Chester County home not only looking but also smelling its best. When your carpets begin to look dirty, your entire home looks dirty. And if your Chester County home’s carpeting is looking a bit unclean nowadays, just call the pros at A1 Sparkles for a thorough carpet cleaning. In little time at all, we’ll get your carpet and home looking clean once more. Of course, it won’t matter how good your Chester County home LOOKS. If it SMELLS bad, you can forget making any kind of a fresh, clean impression on your guests. Luckily, with our air duct cleaning services, we can knock away the dirt and other nasty buildups in your home’s air ducts, helping it to smell as well as look its best. If you are looking for expert cleaning services in Chester County, then please call 610-292-9069 or complete our online request form.